Where:The Silver Ball Planet pinball arcade at Big Step mall in Osaka. When:11/24/2018(sat) at 4:30pm (Registration starts at 4:00pm ). Duration: about 3 hours depending on player success. Who: Open to anyone who wants to compete in pinball. Cost: The cost of credits. 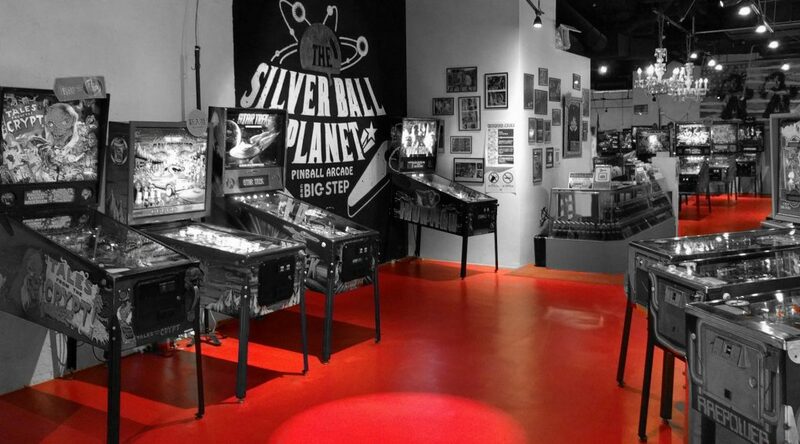 The Silver Ball Planet has over fifty pinball machines ranging from 1975 (Captain Fantastic) to 2017 latest machine (Aerosmith) and lots of machines in between (The Addams Family, Monster Bash, Lord of the Rings, etc.). The tournament is open to players of all abilities and the only cost is the cost of credits. This is an IFPA sanctioned event and will award World Pinball Player Ranking Points. In July we played groups of 4. Everyone played four machines as a group and then the top two from every group moved on to another group of 4 and set of four machines until there were only four players left. The format in August will hopefully be the same, but it depends on how many players we get to compete. Directions: A few minutes’ walk south of Shinsaibashi Station on the Midosuji line in Osaka. The arcade is located on the third floor of Big Step Mall. be used machine in the tournament. when machine trouble is occurred.